How would you describe your smile? Is it something you’re proud of, or a feature of your face that you’d somewhat shy from showing? Imagine your confident self. What would your smile look like? Our smiles are the centre of our facial expressions. They convey warmth, friendliness, confidence, and health. A smile can break the ice, start a conversation, or diffuse a potentially tense situation. Our smiles also assist us in the way we present ourselves, without hiding our mouths when we speak. A recent survey revealed that 61% of us had been attracted to somebody by their smile alone. Candidates with better and more confident smiles are 18% more likely to get the jobs they seek. The effect of a beautiful smile is well-explained in the BBC documentary, The Truth about Your Teeth. Many of our patients do not know how to identify and mend issues with their smile, and so they come to us to help determine their needs. Some patients need to remodel their entire smile at a pace that is physically and financially comfortable – with the guidance of a knowledgeable dentist. 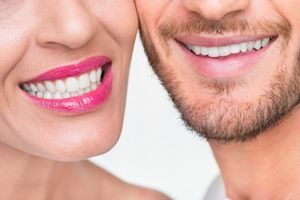 To help you understand more about your smile, here at Orchard Scotts Dental, we consider the main factors affecting it as the ABC’s of a Smile. A is for alignment of the teeth, the impedance of which is the most common issue adversely affecting our smiles. An uneven smile is less visually pleasing and makes the maintenance of healthy teeth and gums much harder – an is crowded teeth which make it difficult to floss and readily trap plaque that builds into tartar. Misalignment can occur from a very young age, and recent research connects children’s airway issues – especially between the ages of six to ten years old – to the development of crooked teeth. Airway obstruction can lead children to a mouth-breathing habit with poor tongue and lip posture, resulting in the crowding of the dentition and weak jaw bone development. Orchard Scotts Dental can solve your alignment problems with traditional braces or with the Invisalign system – a transparent plastic aligner system that moves teeth comfortably and offers easy maintenance without metal brackets and wires. Once your teeth are aligned, they will be neater, straighter, cleaner, and the stunning focus of your new smile. Contact us to find out how a Smile Makeover can give you beautiful natural straight teeth. B is for brightness. Our teeth can yellow over time as a result of our diet or the process of ageing. Plaque accumulation, stains from coffee, cigarettes, and certain foods are also significant contributors to the staining of teeth. Discolouration is classified as one of two categories: internal or external staining. Internal staining occurs when a tooth loses its vitality, most often after a root canal treatment. This dark discolouration usually makes bonding or veneers (see “C is for Contours”) a more appropriate solution. However, external whitening is very useful for stains or a general yellowing of the teeth. At Orchard Scotts Dental, we have three levels of external whitening: Beauty White, Glamour White, and Pageant White. Our Beauty White program is a gentle whitening process that allows patients to whiten their teeth in the comfort and convenience of home. 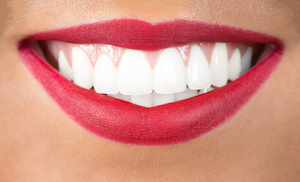 Patients wear a customised tray containing the whitening gel over their teeth between thirty minutes and four hours per day for two to six weeks, depending on the strength of the gel and the desired results. Our Beauty White system relies on custom-fitted whitening trays which allow the whitening gel to easily cover or coat the entire forward facing surface of our patient’s teeth. As a result, you will see results that can last up to six months. Our Glamour White protocol builds upon the Beauty White foundation by adding an office whitening session to quicken the whitening process. This whitening program jump-starts our patients’ treatment, making it an ideal solution for patients in search of an immediate whitening effect. If you’re looking to whiten your teeth right before an upcoming event, the Glamour White protocol will be the solution we recommend for you. Our Pageant White process is designed to give the beauty queen, the bride, and the special someone a gorgeous smile that brilliantly sparkles and shines. Pageant White is our most intense program, which aims to maximize whitening potential using at-home whitening that is both jump-started and finalised with office sessions. Orchard Scotts’ dentists have employed the “book-end” nature of this protocol to illuminate the smiles of the Miss Universe Singapore pageant winners since 2009, and it is our most robust whitening process that is intended to eliminate the toughest stains. Contact us to find out how a Smile Makeover can bring a sparkle to your smile or learn more about our Teeth Whitening service. C is for contours of the teeth. As we age, our teeth wear down, flattening their contours by making them look shorter and odd in shape. The aging process is usually genetic, and teeth can also show signs of aging when previously performed dentistry ages. Orchard Scotts Dental has adopted two methods to restore the contours of our patients’ teeth. OSD uses bonding to correct small defects and restore elegant contours to damaged and discoloured teeth. The developments in composite resins over the last ten years has made them the first line of treatment, particularly to enhance the contours of the teeth. A composite resin’s strength and ability to match tooth characteristics also make them ideal for patients who want to improve flaws without making significant changes. Veneers are porcelain shells designed by our technicians to alter and improve our patients’ smiles. These veneers are high-strength ceramic glass and are created in a way that significantly enhances and accentuates your smile. At Orchard Scotts Dental, we often incorporate porcelain veneers into our Smile Makeover planning through our Digital Smile Design process, with which we create a simulation of your desired smile. We then use the simulation to make a template that becomes the focus of your Trial Smile. In the Trial Smile, we fit the template over your teeth, allowing you to visualize, test, and appreciate the impact of the Smile Makeover on your smile, appearance, and confidence. Through the Smile Makeover planning, OSD’s dentists and patients can align their aesthetic goals to achieve a patient’s desired results. Contact us to find out how a Smile Makeover can restore the natural, beautiful contours of your teeth..
Our dentists have been performing Smile Makeovers since 2000, and they’ve been creating beautiful smiles for the Miss Universe Singapore pageant winners since 2009. Before an international pageant competition, we guide the winners through the same planning and procedures we offer to our patients. We immensely enjoy ensuring the winners put their best smiles forward when representing Singapore. 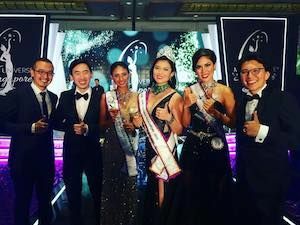 Whether we’re providing Miss Universe Singapore that extra edge at the international competition or providing our patients that extra shine in their daily lives, nothing is more rewarding than creating beautiful, healthy smiles. Our dentists’ key strength is their ability to listen to and thoroughly understand our patients’ needs and wants. They are often invited to speak and lecture to other dentists on the science and art of creating beautiful smiles. They also offer live courses during which other dentists can watch and learn how they perform the Smile Makeover procedures for our patients. Contact us to get started on your Smile Makeover today.